Samsung is working on multiple A-series of smartphones at the same time. Recent reports have revealed that the upcoming Galaxy A-series phones will be aimed towards the Chinese market in a bid to cover the lost ground. The rumored Galaxy A90 is expected to arrive as the most powerful A-series phone this year. Popular tipster Ice Universe has revealed that the Galaxy A90 will be a perfect smartphone since it won’t be featuring a notch. The axing of the notch on the phone means it will be equipped with a pop-up selfie camera. After the iPhone X was introduced with notched screen in 2017, various Chinese manufacturer released notched display smartphones. In 2018, the size of the notch reduced to waterdrop-style on many smartphones. Some phones like Vivo NEX and Find X came with notch-less screen last year. 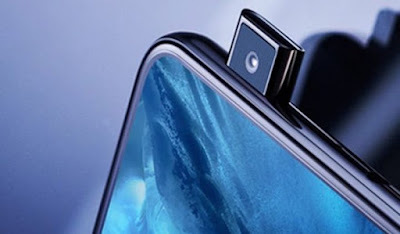 While the Find X had a motorized assembly with front and rear cameras that could automatically rise and go during face authentication and for snapping photos, the Vivo NEX came with a pop-up selfie camera module that could come up for shooting selfie shots. This year, even upper mid-range phones are expected to arrive with notch-less design with pop-up selfie camera. The Vivo V15 Pro is rumored to arrive with a pop-up selfie camera setup and a triple camera setup on its rear with 32-megapixel primary sensor. The Vivo V15 Pro is expected to go official on Feb. 20 in India. The OPPO R19, R19 Pro and Vivo X25 that are rumored to go official by the first quarter of this year. These phones are also rumored to arrive with pop-up selfie shooters. It seems that Samsung is playing the catching up game with the Chinese smartphones first by introducing notched display smartphones and now it is rumored to introduce pop-up selfie camera on the Galaxy A90. Previous reports have suggested that it could be arriving as the successor for the Galaxy A9 (2018) smartphone. The model number of the Galaxy A90 is SM-A905F and it is expected to arrive with an internal storage of 128 GB. It may hit the market in 6 GB and 8 GB RAM editions. It is likely to release in color variants like black, gold and silver. Other details of the Galaxy A90 are still under the wraps. The notched screen designs from Samsung are dubbed as Infinity-U and Infinity-V. Probably, the company announce a new notch-less Infinity Display design before introducing it on the Galaxy A90.